Like Father (film, 2018). A 2018 American comedy film by Netflix. Directed by Lauren Miller Rogen. Official Trailer. Like Father is a 2018 American comedy film directed by Lauren Miller Rogen. 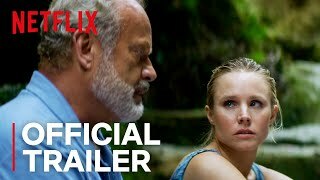 Like Father | Official Trailer | Netflix. When a workaholic young executive (Kristen Bell) is left at the altar, she ends up on her Caribbean honeymoon cruise with the last person she ever expected: her estranged and equally work-obsessed father (Kelsey Grammer). The two arrive as strangers, but over the course of a few adventures, a couple of umbrella-clad cocktails and a whole lot of soul-searching, they return with a renewed appreciation for family and life. Principal photography took place in New York and the Caribbean in August 2017. The film Like Father was scheduled to be released by Netflix on August 3, 2018 (United States). Like Father got average rating from critics. The audience dislikes the film either.